Handmade in India. Wool 80% Silk 20%. 80 cm x 200 cm. kay me SELECT is chosen specially for you: experience the quality and beauty of this wool and silk blend scarf handmade by Indian artisans. 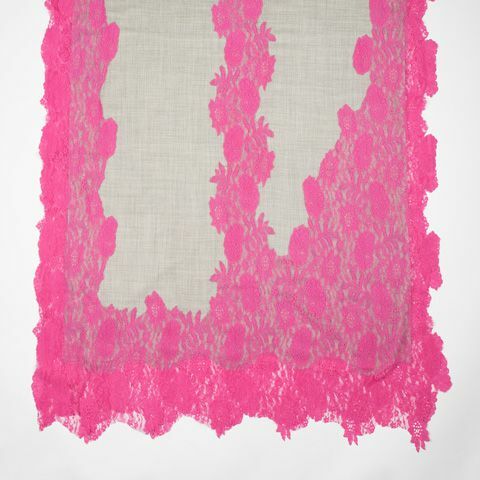 Light and airy yet warm and comforting, this scarf features delicate bold pink lace lace on a contrasting grey background. 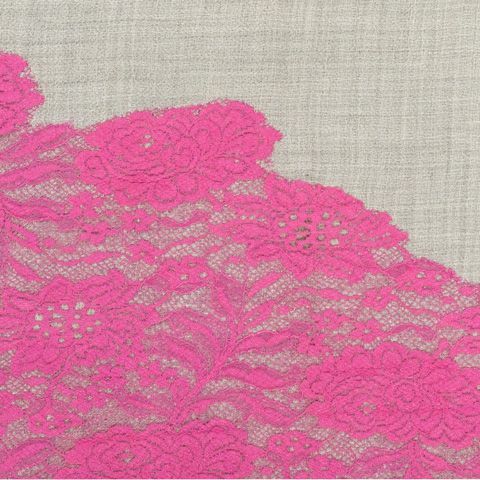 Stunning French lace meets a luxurious wool and silk blend, produced by hand in India for a truly beautiful result. 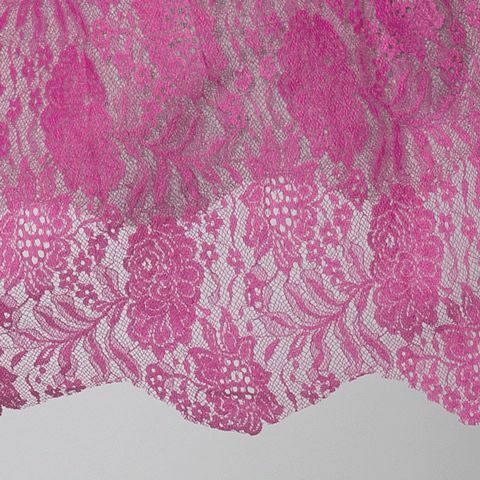 Layers of delicate wool and silk blend and lace are used to give extra volume and warmth - wrap around the neck or wear loose over the shoulders. Each scarf is carefully made using advanced hand-stitching techniques that compliment the elegance of the materials and design.